Oranges traverses in linked short stories the life of Michael, a gay man from the Midwest who must find his own confusing path to adulthood after personal loss. Michael is confronted with a number of challenges, including coming to terms with his sexuality in the age of AIDS, facing his family’s difficulties accepting him, dealing with the death of his mother and the aging of his father, and starting over after losing a partner. Novelistic in scope, Oranges is about the never-ending search for connection, validation, intimacy, and, above all, love. 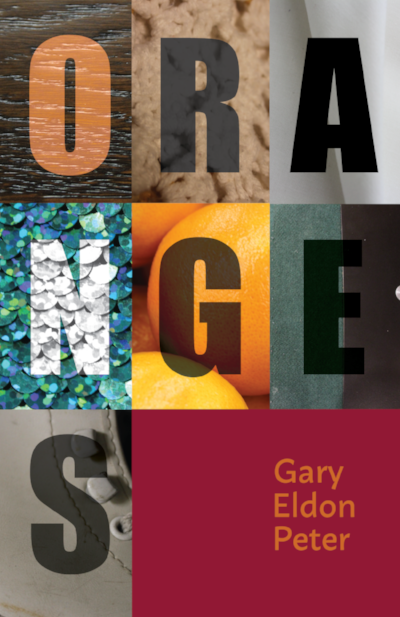 Oranges is Gary Eldon Peter's debut collection of short stories, published by New Rivers Press.